The North Carolina Office of Vital Records maintains North Carolina vital records for marriages after 1962 and divorces after January 1958, with records also available at the county register of deeds. Many county registers have online searchable record databases. For North Carolina marriage records prior to 1962, the county register of deeds should be contacted; for North Carolina divorce records prior to 1958, the county clerk of the Superior Court should be contacted. Although a 1669 law required marriage registration, most marriages from this time were not registered. The North Carolina State Library has marriage bonds for 1741-1868, and microfilmed marriage registers and indexes. Marriage records for 1868-1962 are on file with the Register of Deeds and also at the North Carolina State Archives. 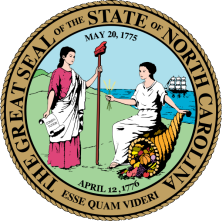 The Superior Court in each county has granted divorce decrees since 1814; copies of pre-1868 divorce records are available at the North Carolina State Archives. Note: Non-certified copies may be purchased by the public. Certified copies can be obtained by family members. The fee is the same for either report. Record Access Requirements: Investigative searches are permitted, but only non-certified copies are provided. Note: Non-certified copies are available to the public, certified copies to family members. The fee is the same for either report. Note: All trial court research for record copies must be done at the local level. Note: Record access is limited to criminal justice and other government agencies authorized by law. Employers are denied access unless subject is in a business designated to receive records (i.e. health or child care). Contact agency for proper paperwork. Record Access Requirements: This agency will direct you to the Admin. Office of the Courts (AOC) for online access to statewide Clerk of Court criminal records. Private companies offering NC criminal records are listed at www.nccourts.org/Citizens/GoToCourt/Default.asp?topic=1. Search Note: The subject can request their record for $14.00 cert check or M.O. ; mandatory to include a FD-258 fingerprint card. Send to- Attn: Applicant Unit. The result is returned to the subject only - this agency will not forward it to a third party.